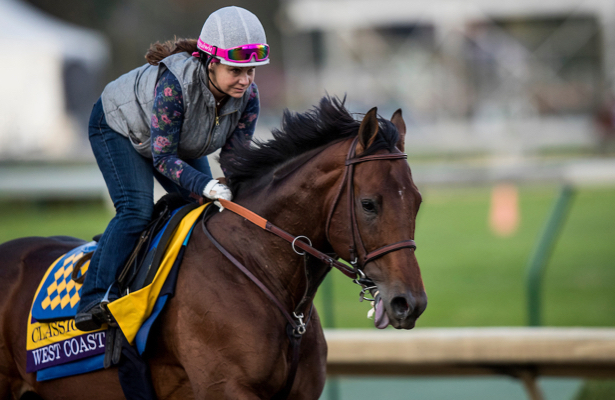 While the Breeders' Cup Classic lacks an overwhelming favorite, varied opinions about contenders for Saturday's race at Churchill Downs make it a nice -- and potentially lucrative -- betting proposition. Before you place your bets and the field heads postward at 5:44 p.m. ET, check out the free Brisnet past performances below. Brisnet's Ultimate PPs include comments specific to each contender, plus you can scroll to the bottom for a ranking of each horse on the basis of speed, class and pace, among other metrics. Notably, the 3-year-old McKinzie owns the best last-race Brisnet Speed Rating, while Accelerate has the edge on class and Mind Your Biscuits proved he can kick around two turns with the top last race late pace number. This year's Classic, a 1 1/4-mile test worth $6 million, poses quite a puzzle for handicappers. Good luck! See the PPs below, with the option to go full screen at the lower right.